Immunotherapy is widely anticipated to offer a more prominent role in managing urological cancers but there are unresolved issues and obstacles particularly in the area of managing aggressive bladder cancer, according to experts. 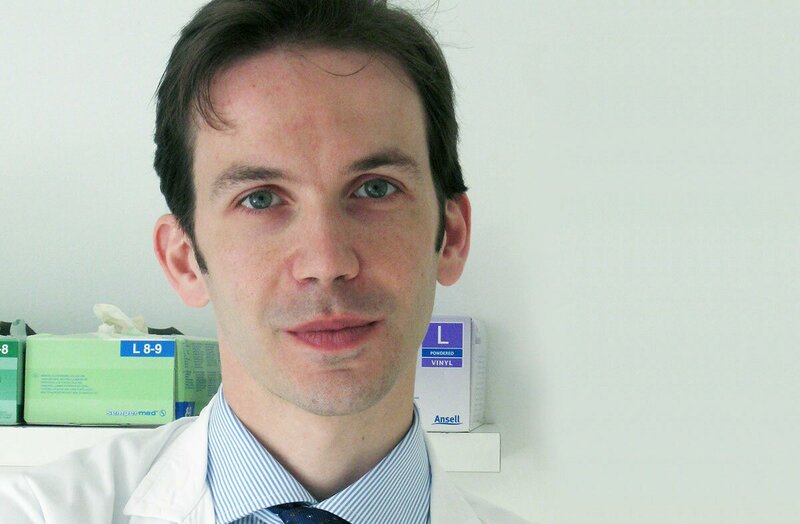 “Immunotherapy is likely to play a major role in non-prostate cancers, as well as targeted therapies like anti-FGFR therapies, for molecularly-selected patients,” said oncologist Dr. Andrea Necchi of the Fondazione Irccs Istituto Nazionale Dei Tumori in Milan (IT). Necchi will be discussing immunotherapy in bladder cancer during the session “Immunotherapy in urological cancers” in the upcoming 9th European Multidisciplinary congress on Urological Cancers (EMUC17) to be held in Barcelona from 16 to 19 November. Organised by three of Europe’s frontline professional associations such as the European SocieTy for Radiotherapy & Oncology (ESTRO), the European Association of Urology (EAU), and the European Society for Medical Oncology (ESMO), EMUC is known for providing an effective platform for experts in onco-urology where new updates and best practices are critically assessed to achieve optimal patient care. Although hopeful that future studies may yield more definite results, Necchi observed that outcomes in various PD-L1 expression researches are still immature. Despite the current limitations, there are areas of opportunities where physicians can focus on to arrive at better treatment options, according to Necchi. “There are multiple aspects to be accounted for across the clinical stages of the disease. In patients with localized, muscle-invasive tumours, eligibility to cisplatin-based neoadjuvant chemotherapy is an important factor to drive multi-modal decisions. Another important factor is the patient preference with regards the decision to undergo radical cystectomy versus bladder-sparing chemo-radiation approaches,” he pointed out. Regarding advanced bladder disease, he said multiple factors are important to drive treatment decisions. “Among these are the ECOG performance status, age, cisplatin eligibility, and co-morbidities which are usually accounted for to decide towards standard therapy, and experimental treatments in clinical trials as well,” he added. Various researches in bladder cancer are on-going, and Necchi is optimistic that surveying current developments, breakthroughs could be possible in the coming years. “Regarding advances in pathology, insights into the molecular pathology of urothelial bladder cancers are likely to change the way we currently treat patients, mainly with immunotherapy. In particular, the possibility to better counsel and treat patients according to the characteristics of their tumour (e.g., according to the cluster of gene expression, or the presence of specific somatic gene alterations) is a concrete possibility for the next use of immunotherapy or targeted therapy in clinical practice,” he said. Asked on the role of multidisciplinary consultations and meetings such as the EMUC, Necchi commented there is a need for such initiatives, but with a wider engagement that includes non-medical professionals. In managing rarer diseases such as testicular cancers, for example, Necchi said it is likely that medical oncology strategies would include less treatment for good prognosis patients with the aim to cure, whilst causing less long-term side effects. EMUC’s main Scientific Programme will open on 17 November, and a day before the EMUC Symposium on Genitourinary Pathology and Molecular Diagnostics (ESUP) will take place to provide key updates on developments in pathology. Also to be held concurrently on 16 November is the 6th Meeting of the EAU Section of Urological Imaging (ESUI17). A line-up of several European School of Urology (ESU) Courses will also be offered. On 18 November, ESTRO will be offering a delineation contouring workshop with the topic “Target volume contouring in bladder cancer.” A Uropathology Training Workshop will also be held for participants to gain practical insights on uropathology procedures. More EMUC17 details: Scientific Programme, registration and CME accreditation.